The partnership is composed of 7 youth NGOs from the following countries: Germany, Denmark, Finland, France, Iceland, Slovakia and UK. 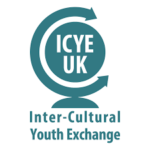 All of them run youth exchange and voluntary service activities at national and international level. The partnership also includes a Hungarian organization specialized in and working at European level on anti-racism sensitivity training within the UNITED Network and the non-profit consultancy SOCIUS from Germany with long-standing working experience in organizational development in the civil society sector.